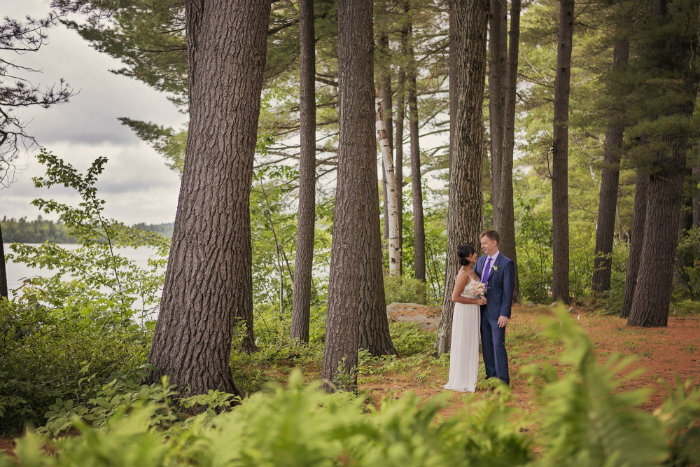 Our romantic, lakefront bed and breakfast is the perfect setting for your intimate wedding in Maine! 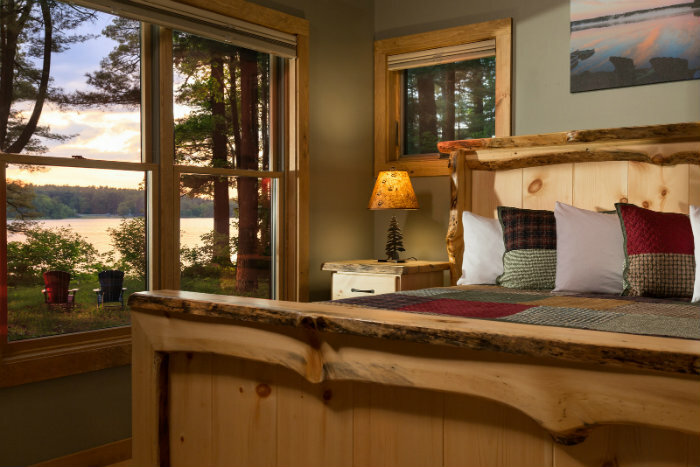 Wolf Cove Inn is set right on the shores of Tripp Lake and offers gorgeous views, spectacular sunsets, and luxurious lodging. Our all-inclusive elopement and small wedding packages take all the stress out of planning your special day. 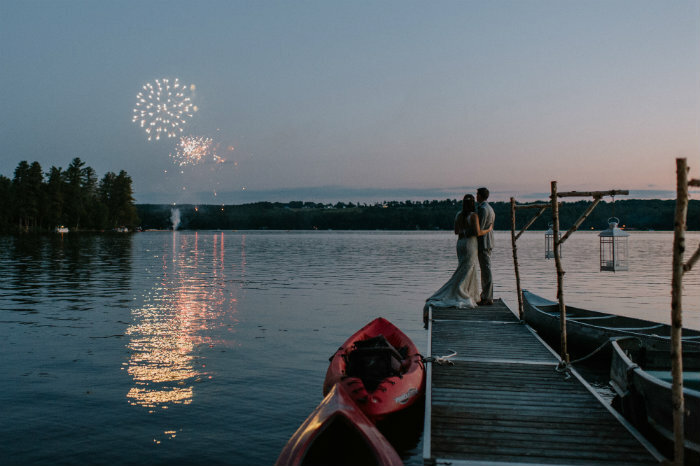 Celebrate your love with a bang by adding on fireworks over the lake! 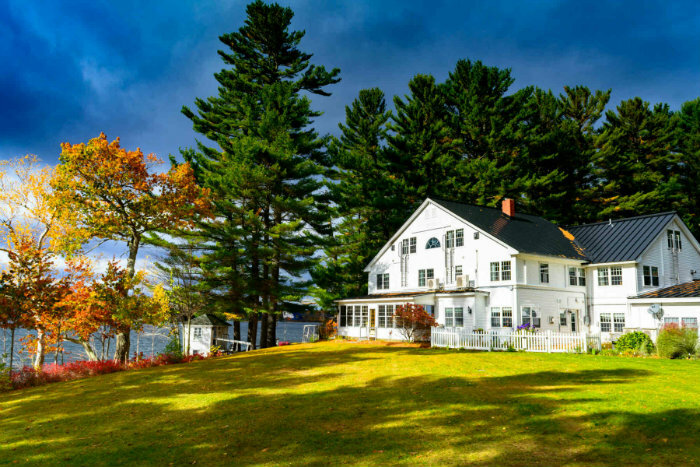 Our award-winning Maine inn offers 11 luxurious rooms and suites plus a private lakefront cabin, so your closest friends and family can join you for your celebration if you wish. We even have select pet-friendly accommodations if you want Fido to be part of the festivities! 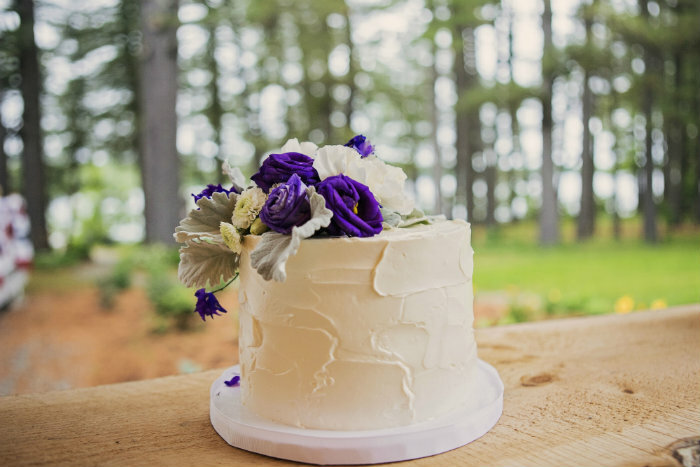 Visit our website for details on our packages for 2-14 people and start planning your dream Maine wedding today! 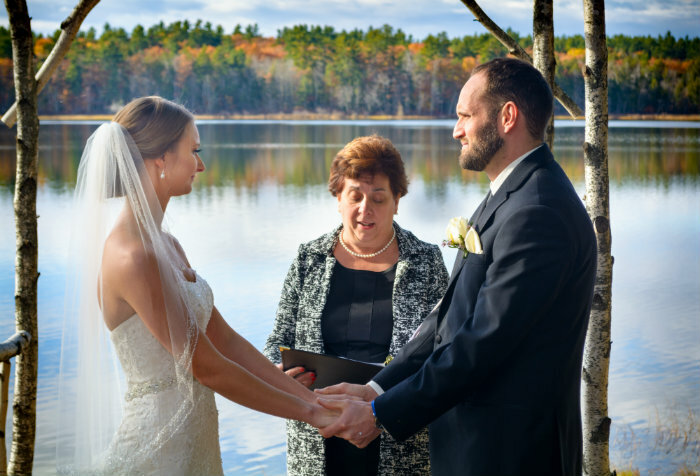 Couples may choose from several lake view ceremony locations, including our lush gardens, majestic pine groves or a beautiful sunroom for romantic winter weddings. We even have a rowboat if you literally want to take the plunge! Our wedding and elopement packages offer a variety of reception options from a romantic dinner for two in our rustic boathouse to a cocktail and appetizer reception with family and friends. We are also happy to assist in arranging dinner reservations at one of our fabulous local restaurants. Contact us for more details.